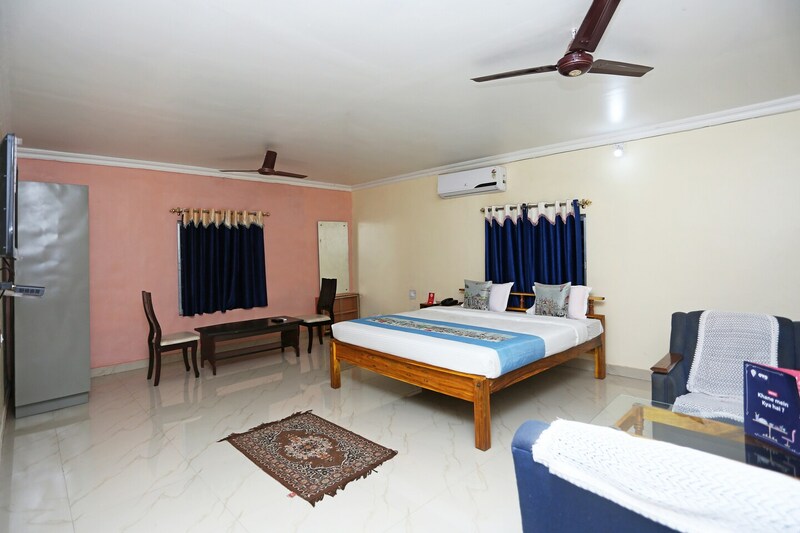 This iconically colourful and beautifuly decorated hotel near railway station is a fine accommodation at an affordable price range. The spacious rooms are well-equipped with storage spaces and plush furniture. The windows allow natural light, making the room feel fresh and appealing while the bright drapes make it look vibrant. The hotel provides free wifi connectivity and laundry services. CCTV cameras are also installed in the hotel premises for the security of the guests. The property offers power backup and parking facilities as well, ensuring convenience for the visitors. The area is well-connected with tourist landmarks and business centres of the city.